Why do women at PR agencies earn less than men? 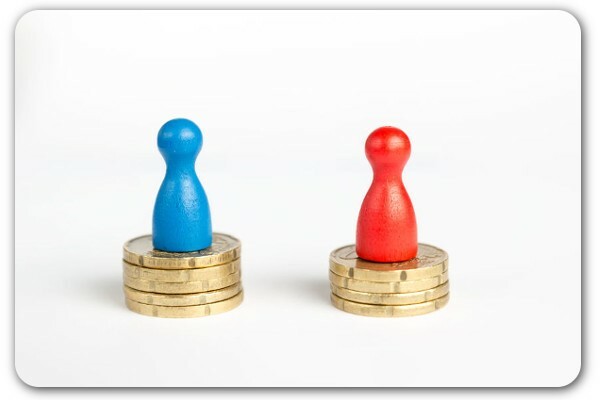 There's a gender wage gap at PR agencies and in our industry overall, and it's getting worse. According to the latest PRWeek/Bloom, Gross & Associates Salary Survey, women in PR earn significantly less than their male counterparts on average. Among those with less than five years experience, men out-earn women by $5500 annually. For more experienced PR pros, the gap balloons to a whopping $42,000, a full $7,000 more than the 2014 difference of $35,000. The difference is particularly striking when you consider that women predominate in PR, particularly at agencies. So, why is this a problem, and what can we do about it? The pros interviewed by PR Week call for pay transparency, strict equality standards for starting salaries, and for change to be institutionalized by agency leaders, beginning with their own teams. Dale Bornstein of M Booth insists that the discrepancy is not a gender issue and that "the worst thing we can do is make it about gender." I take Dale's point, which I think is that talent is gender-blind. Any hiring practice that values one gender or ethnicity, etc. over another is undermining its own service offering. However, in most cases, the problem isn't overt discrimination. What's more, I believe that gender does have something to do with the gap, whether it's driven by the agency culture or not. (I also suspect that the feminization of our industry makes well-qualified men more sought after, and possibly, better paid as a result.) At the end of the day, agency leaders may have the power to fix the problem, but it's not as simple as mandating pay equality. Wendy Marx gets closer to the heart of the matter in a Fast Company piece about the PR gender issue, including the long-lamented fact that most top agencies are run by men. Her analysis offers practical advice for those underpaid women who actually work in PR, like not dropping off the career track, being comfortable with financials, and learning to "have swagger" and stop apologizing. There's another factor at work here, and I think it comes down to how we're taught (or not) to negotiate. Women don't always demand what we're worth. Of the female business graduates offered jobs in a Carnegie Mellon study, only 7 percent attempted to negotiate, but 57 percent of their male counterparts asked for a higher starting salary. Maybe even more telling are the metaphors chosen by the study participants. Men likened salary negotiations to sports, while women compared them to a dentist visit. That's a painful insight. To maximize your earning potential, you have to advocate for yourself. Women are sometimes conditioned to wait for the recognition that we're told will surely come if we work hard, keep our heads down, and do better than everyone else. Of course, that recognition may never arrive unless we take matters into our own hands. So, in addition to leaning in, the women who work in PR may need to start pushing back at the first salary offer they receive. We must make our own case for why our work is worth as much—or more—than that of others.